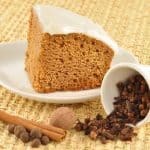 Topped with buttery apples and brown sugar, this gingerbread cake recipe is deliciously moist and richly flavored with molasses, ginger, cinnamon, allspice and cloves. As a bonus, it’s really easy to make, not overly sweet and makes the entire house smell fantastic while it bakes. 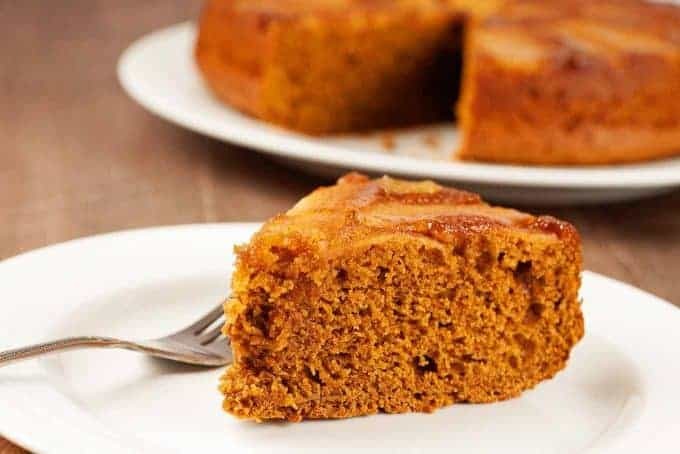 This moist and easy gingerbread cake recipe is richly flavored with molasses, ginger and cinnamon and topped with a layer of buttery apples and brown sugar. Preheat the oven to 350°F and grease the sides of a 9-inch cake pan. Sift the cake flour into a bowl. Add the baking powder, baking soda, salt, ginger, cinnamon, allspice and cloves, then sift again. In a separate bowl, cream the butter and sugar together using an electric mixer on medium speed. Add the egg, beat until light and fluffy, then add the molasses and and buttermilk and beat until the mixture is creamy and smooth. Add the dry ingredients, about 1/2 cup at a time, beating to blend thoroughly after each addition. Set aside. Pour the melted butter into the bottom of the prepared cake pan and tilt the pan to coat evenly. 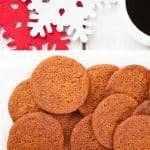 Combine the brown sugar and cinnamon in a small bowl, then scatter the mixture as evenly as possible over the melted butter. Carefully arrange the apple wedges on top in a spiral pattern, overlapping them slightly. 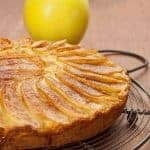 Being careful not to dislodge the apples, transfer the batter to the pan and use a spatula to smooth the top. 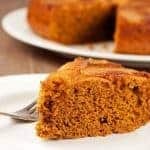 Run a thin spatula around the sides of the cake to loosen it. 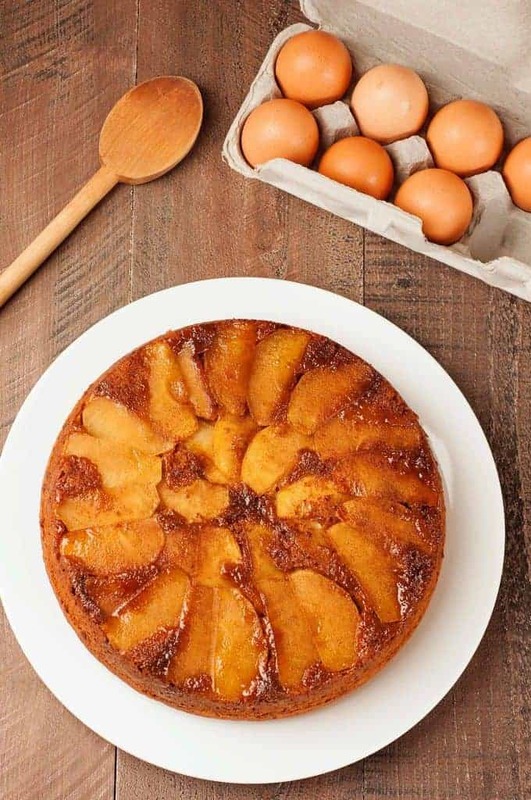 Invert the pan onto a cooling rack, but leave it on top of the cake and allow it to cool for 5 minutes before removing. Cool 20 minutes longer before serving. 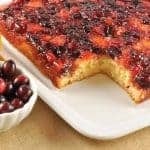 Serve plain or with a dollop of homemade whipped cream or a scoop of vanilla ice cream.